“It’s never crowded in the last mile,” is one of my favorite sayings because it speaks to the importance of tenacity. We admire the individual who never gives up and reaches the finish line. Many of us wish we had more of this trait and did not become discouraged by obstacles or set-backs. We know that to be successful in life, we must be disciplined and persevere. An equally important, yet little recognized skill, is the act of receiving. When giving your all is not balanced with receiving from others, the inevitable result is to end up exhausted and discouraged, which is not a good frame of mind to be in when you are trying to achieve your goals! Even though every giver has a receiver—there is a recipient for every act of giving—the giver is elevated and celebrated in our culture, while the receiver is almost wholly unknown. Most of us are familiar with the maxim, “It is better to give than receive.” Giving is important and should be encouraged. But we can’t be the giver all of the time. 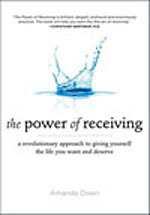 Sometimes we are the receiver and how we receive is just as important as how we give. I believe the lack of understanding about the role of the receiver contributes to the current multitasking epidemic as people try to achieve their aims by piling pile upon task after task. I call it multitasking mayhem. • Accept offers of help. Just like you put gas in the car so it will run and eat food for energy fuel, let people replenish your reserves by giving to you. • Don’t try to do it all. Ask people to do their fair share at home and at work. Let someone else return the library books, walk the dog, or take care of a work assignment. 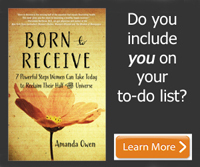 • Learn how to say “no.” If you do not honor your boundaries, others won’t either. • Take time to smell the roses. Take a break and go outside. Breathe deeply, watch the clouds, and listen to the birds. • Pause, watch, and notice the results of what you set in motion by your activities, and you will learn important information that will help you. Make a commitment to receive something every day, whether you accept a compliment, welcome an offer of help, or notice something beautiful in your environment. You will not only feel healthier in mind, body and spirit, you will also have a better chance of achieving your personal and professional goals. Thank you so much for your comment, Pavandeep. I’m happy that my ideas are useful to you!